At Christleton High School, the Duke of Edinburgh Award programme starts in Year 9 with the Bronze Award. Once you have completed this, you can enrol for the Silver Award in Year 10, and in Year 12 the Gold Award is available. 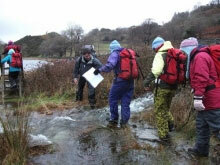 A Duke of Edinburgh Award programme is a real adventure from beginning to end. It doesn’t matter who you are, or where you’re from. You just need to be aged between 14 and 24 and realise there’s more to life than sitting on a sofa watching life pass you by. You’ll find yourself helping people or the community, getting fitter, developing new skills, going on an expedition, and taking part in a residential activity (Gold Award only). But, here’s the best bit - you get to choose what you do! Your programme can be full of activities and projects that get you buzzing and, along the way, you’ll pick up experiences, friends and talents that will stay with you for the rest of your life. 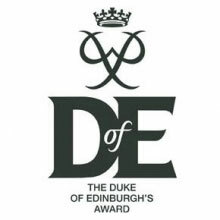 The Duke of Edinburgh Award is very popular, and this year we have 120 Bronze, 70 Silver and 60 Gold participants. Please ensure that your child has checked the equipment list and it is essential that all individual and group equipment is packed, even warm hats and gloves and full waterproofs. The weather is very changeable and temperatures at night are as low even when we are applying sun cream during the day. It can also rain very heavily. A quick read through their DofE Training handbook issued during training will also be a handy reminder. A reminder that students must have with them any medicine that they may require; for example Anti-Histamine, inhalers etc. During the trip, staff will have one of the school mobile 'phones with them – 07962 885807. This should only be used in an emergency, and where possible please only send texts. In the event of a major change to the plans, a message will be sent via the School Twitter account (this will appear on the home page of the school website). Supervisors will be Mrs E Humphries and a group of volunteers/staff. Supervision during the day: When the teams are walking they will leave check cards with comments. They know what to do in an emergency and it will also be possible for them to reach an emergency number. This phone number is checked for any messages. Parent/Guardian contact information will be left with a member of the Senior School staff. Supervision during the night: At Bronze level camping is supervised and staff will stay at the campsite. Sensible behaviour is expected. The student’s performance and behaviour will indicate whether they will be responsible enough for the Test. The Silver training covers the skills of more advanced navigation using maps, compasses, lightweight walking, teamwork, appropriate clothing and equipment in the hills. The students also learn how to keep equipment to a minimum and what to do in an emergency. During the trip, staff will have one of the school mobile 'phones with them - 07962 885807. This should only be used in an emergency, and where possible please only sent texts. In the event of a major change to the travel plans, a message will be sent via the School Twitter account (this will appear on the home page of the school website). Students should regularly check the DofE Noticeboard in school, and their e-dofe account for current messages.